The Eureka! Classics release includes brand new 1080p high-definition transfers and progressive DVD encodes; plus optional English subtitles. 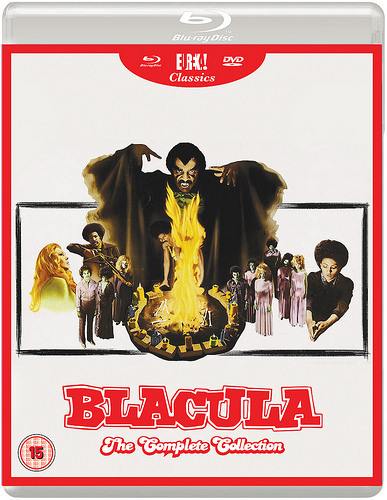 The extras include trailers for both films and introductions from Kim Newman; however there is a very informative booklet with neat articles by Josiah Howard, author of Blaxploitation Cinema: The Essential Reference Guide; and includes some reprints of original lobby cards and posters. If you want to read more about the schlocky 70s horror double-bill, check out Pete’s full review (just click here).